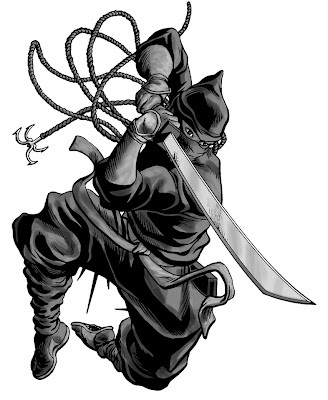 Shamus Beyale's Art: Ninja Jump! Who doesn't like ninjas? This is ink on bristol, shaded in Photoshop. POW!